Our range of products include sledge lok ll thread lock -sh lok-a and thread lock. Sledge Lok is the next generation cementing product in the thread compound technology and design. Just like the oil filled pipe materials and connections are masterminded as per the specific application and field services requirement. 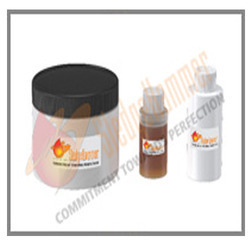 The thread compounds must be formed to meet the vital execution requirement. We are a prominent manufacturer and exporter of Thread Loc, which are available in different technical specifications. We offer these products at reasonable prices to our respected clients and these products are available with better performance as well as effectiveness. This sh-lok-A at reasonable market price. These are made by our renowned manufacturers using high quality mild steel. These are highly demanded for its features like highly durable, strength and are resistive to various adverse conditions.